The National Institute for Learning Development developed a program over 30 years ago that specifically helps children who struggle to learn. Many children have processing and/or perceptual weaknesses that interfere with their ability to reach their full potential in the academic setting as well as in real life. Students take a series of educational tests given by an educational psychologist to determine specific weaknesses. Then the NILD-trained therapist uses techniques with the student that have been specifically designed to strengthen those deficit areas in that particular child. Sessions typically last 80 minutes and occur twice a week. 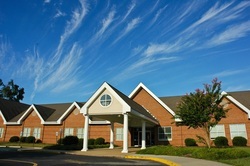 The goal of NILD is to develop independent learners who are able to reach their full potential. NILD Educational Therapy has been offered at Summit for the last 16 years. We have seen students who were struggling in school go from Ds and Fs to Honor Roll. Students who did not seem to be “college material” graduated from our NILD program and were accepted to the college of their choice, often in the early decision process. Many of our NILD graduates have now graduated from college on the Dean’s List. If you would like more information on the NILD program, please contact Summit at 867-7005 and ask to speak to our NILD Director, Susan Hardison. 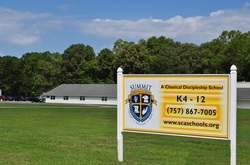 We do offer NILD to Summit students and to students from other schools as well as to home schooled students. Below is a partial list of behaviors you might see in a child who needs help in processing information and in learning. Student takes much longer than his peers to complete tasks. Student studies all week for a test and knows material at home but still fails the test at school. Student often asks for things to be repeated. Student can read a chapter in a novel or textbook but can not remember what he has read. Student is disorganized with his materials and may also be disorganized in his thinking. Student has difficulty expressing himself in words. Student can not remember what he hears.